The puzzle aspects of the game are rather interesting, as our own Tally Callahan discovered when she got hands-on with it last spring during PAX East. 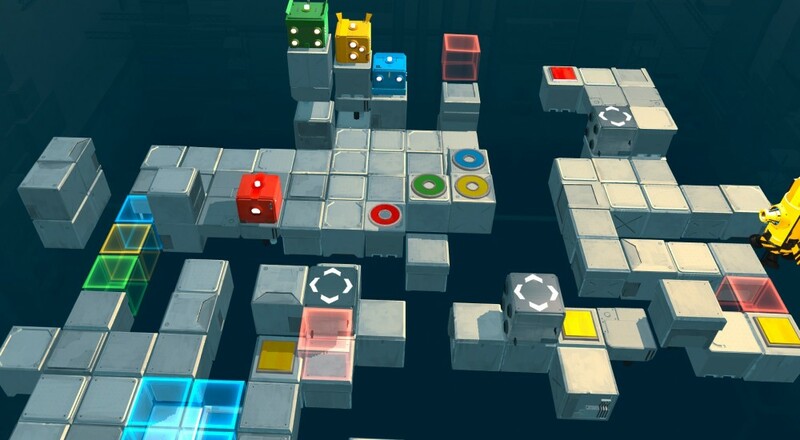 Players each control their own cube and have to navigate their way around a platform while syncing their progress with their co-op partners'. A misstep or if the timing gets off, then you or your partner may be on the unfortunate end of some spikes or a laser beam. Death Squared supports two player local co-op in its story mode, and four players locally in the challenge mode. It will come out on PC, Xbox One, and PlayStation 4 simultaneously sometime early next year. Page created in 1.1520 seconds.